Become a partner of a powerful network! Welcome to the IFA website! 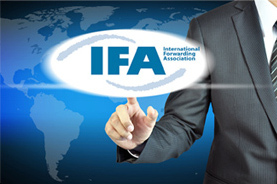 The IFA is a network of more than 50 indipendent, small and medium-sized forwarders throughout Europe. We offer an Europe-wide classical groupage transport service. We are also your reliable partners for small shipments and complete loadings. Of course each IFA partner has experience in air and sea freight handling. Procurement and distribution are always proffesionell handled. We accompany you with our know-how.